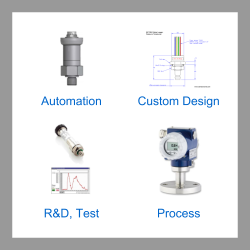 Digital display pressure switch, gauge and transmitter for pipe mounted use in freshwater booster pump measurement applications, capable of measuring 0 to 600 bar g pressure with 0.35% accuracy and connected using a 1/4 BSP P male fitting. A combined digital readout unit and pressure sensor for mounting on a pipe to measure fresh water booster pump pressure over 0 to 600 bar gauge and provide a switch protect the low pressure side of the booster pump from a high overpressure. 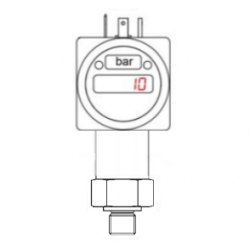 This DS200 freshwater booster pump digital pressure switch, gauge and transmitter is powered by an external power source and is connected to the physical pressure measurement point using a 1/4 inch BSP parallel male thread process fitting. 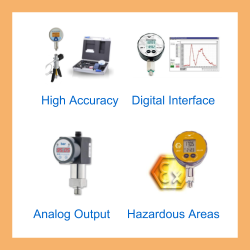 Accessible external connections are provided to the 4-20mA signal and contact switch for sending booster pump pressure readings and switching control signal to other nearby instrumentation. Please complete form below to request a quote for 600 barg freshwater booster pump pressure switch, gauge and transmitter. Send us your enquiry for 600 barg freshwater booster pump pressure switch, gauge and transmitter to get assistance with this product type.